The proposed rules are out for a 60-day comment period. 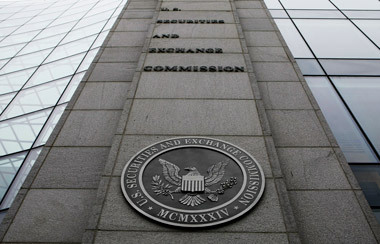 The Securities and Exchange Commission Wednesday proposed rules to require companies to disclose the relationship between executive compensation and the financial performance of a company. The proposed rules, which implement a requirement mandated by the Dodd-Frank Act, will be out for a 60-day comment period. A company would be required to disclose compensation actually paid to its principal executive officer using the amount already disclosed in the summary compensation table required in the proxy statement, making adjustments to the amounts included for pensions and equity awards. The amount disclosed for the remaining executive officers would be the average compensation actually paid to those executives. As the measure of performance, a company would also be required to report its total shareholder return (TSR) and the TSR of companies in its peer group. All companies would be required to disclose the information for the last five fiscal years, except for smaller reporting companies, which would only have to provide that information for the last three fiscal years, the SEC states. The proposed rules provide phase-in periods for these requirements.